Cultural icons are inarguably products of their times, but it’s their ability to rise above the status quo that earns them their position. To wit: This March, Beyoncé garnered the praise of many when she cast Jillian Mercado, a model suffering from muscular dystrophy, along with two models of color, Sharon Gallardo and Alayah Lee, to star in her “merch” campaign. This is no trumped-up prize — concert merchandise has gained new prominence in fashion. That same month, in the world of fast fashion, Caitlyn Jenner earned yet another win for transgender visibility when H&M announced her as the new face of its latest sport line. It’s hard to say whether tastemakers become the impetus of change as a reaction to the confines of their times or because of their innate sense of society’s undertow and their ability to harness and ride that current — or both. Some may call Beyoncé’s use of a disabled model — a category we’ve yet to examine in our own diversity reports — capitalizing on a trend within her millennial-skewed audience. After all, Diesel did do it first. Others may say that, given the clout of her personal brand, she knows that anything she puts forth is taking it one step further, causing all this necessary conversation, if you will. H&M’s choice to feature Jenner as its cover model could be motivated by business savvy — look at the fanfare produced by that Vanity Fair article and any and all that is even vaguely Kardashian. On the other hand, the brand’s devotion to runway diversity suggests otherwise. Perhaps executives chose Jenner to raise important questions highlighting the complexity of gender identity: Are we looking at an Olympian, an activist, a reality star or all of the above and what would Jenner have you think? More important than the intentions behind these choices is their face value, their message of inclusion. Pop culture has spoken, now it’s time to see if those casting the heavyweight, big budget campaigns have followed suit. After surveying 236 fashion print campaigns, we can report that tentative progress has been made toward inclusion, though it’s a long road ahead and season to season, the numbers are ever fluctuating. 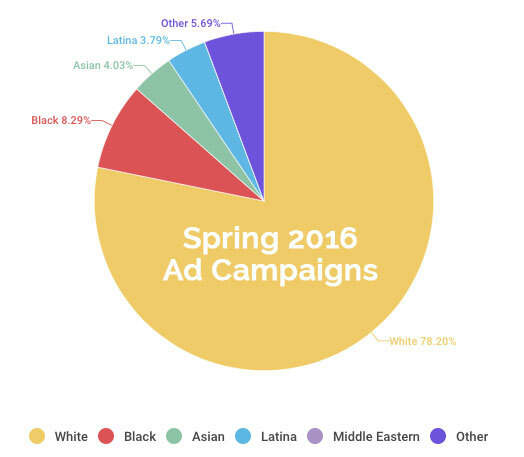 Focusing on the present, 78.2 percent of the models* in the Spring 2016 ads were white, a 6.5 percentage point drop from Fall 2015’s numbers. Black models trailed at 8.3 percent, followed by Asian models at 4 percent and Latina models at 3.8 percent. Both black and Latina models were cast at approximately double the rate of the Fall 2015 season, when percentages read 4.4 for black models and only 1.7 for Latinas. On the other hand, Asian models saw a slight decrease in representation from 6.2 percent. 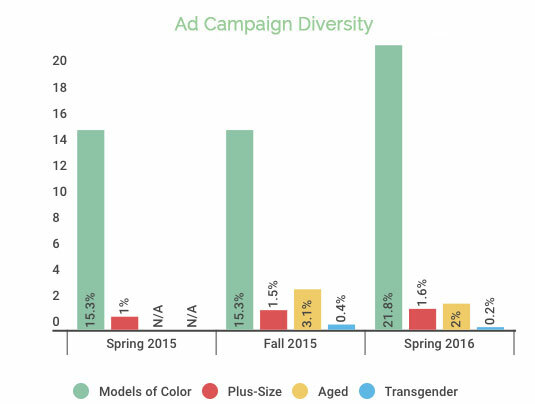 Overall, spring ad campaigns were significantly more diverse than previous seasons with 21.8 percent of the models being women of color**. These findings represent a decrease from the diversity breakdown for the most recent runway season, however, during which 24.8 percent of those who walked came from nonwhite backgrounds. As for the offenders, the Spring 2016 list of whitewashed print ads includes Versace, Saint Laurent, Forever 21 (fairly shocking, given the brand’s all-inclusive demographic), Miu Miu and BCBGMaxAzria, all of which cast three or more women in their campaigns with zero women of color in sight. 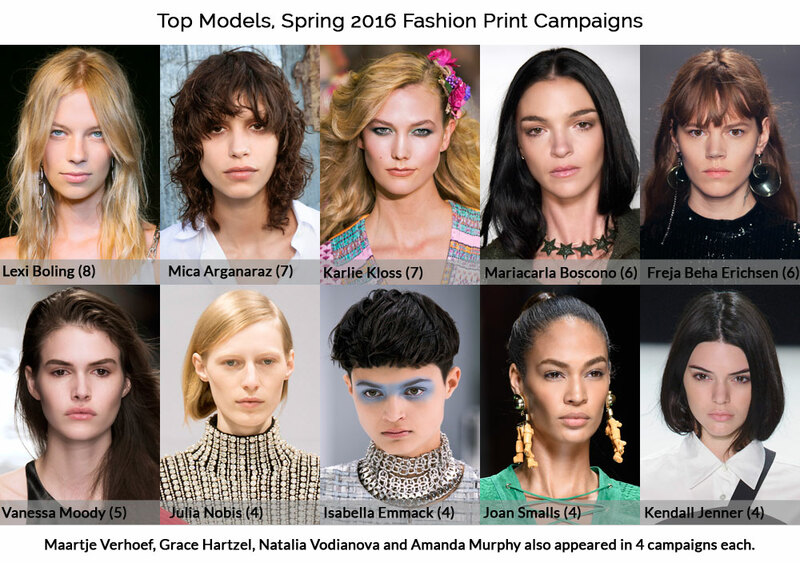 Of the most-booked models for the Spring 2016 print campaigns, 12 out of 14 were white. Lexi Boling landed the most campaigns with an impressive total of eight, followed by model of color Mica Arganaraz and Karlie Kloss with seven ads each. Mariacarla Boscono and Freja Beha Erichsen scored six campaigns apiece and Vanessa Moody was featured in five campaigns. Joining Arganaraz on the list was fellow Latina Joan Smalls, whose four appearances matched those of Isabella Emmack, Grace Hartzel, Amanda Murphy, Kendall Jenner, Natalia Vodianova, Julia Nobis and Maartje Verhoef, rounding out the top 14. For a year that saw the first plus-size Sports Illustrated swimsuit cover model, women over size 12 were conspicuously absent from most spring ad campaigns. Out of the 440 model appearances we examined, plus-size women were only cast seven times — comprising a mere 1.6 percent. Not one plus-size model of color graced the glossies or billboards this campaign season. Transgender models were nearly snubbed in the Spring 2016 ad campaigns. Marc Jacobs redeemed the season slightly by featuring Lana Wachowski — transgender woman, noted LGBT activist and one-half of the helm of The Matrix trilogy (alongside sister Lilly Wachowski, also a trans woman) — in his sprawling production. It’s a significant and disappointing regression from the Fall 2016 runways, which saw eight transgender castings at Fashion Weeks in New York, Paris and London. Puzzling, given how much media attention the community has received this year thanks to Caitlyn Jenner, Oscar-nominated transgender musician Antony Hegarty and critically-acclaimed movies The Danish Girl and Tangerine. When it came to inclusion in the spring ad campaigns, millennial-targeting powerhouses Calvin Klein and Alexander Wang led the charge alongside longtime diversity champion Marc Jacobs. 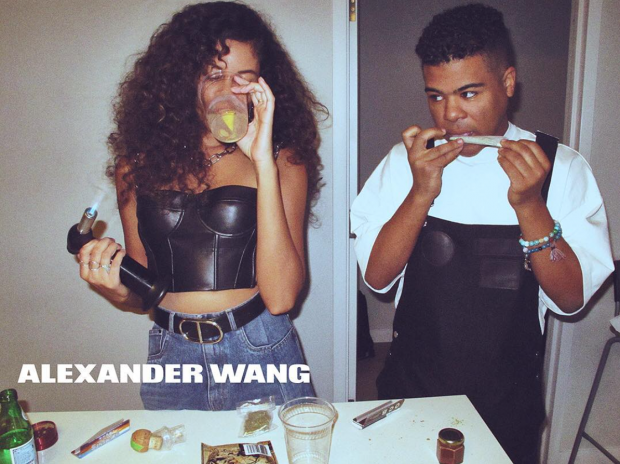 The sprawling, Polaroid-replete, social media savvy #mycalvins and #wangsquad campaigns flooded Instagram with images of celebrities and influencers of all different genders and races sharing something of a personal diary with onlookers — models proclaimed what they did in their classic underwear or wreaked havoc around New York with their squad. It was in the equally diverse but far less ubiquitous Marc Jacobs campaign, however, that the shift toward inclusion felt most palpable, thanks to a preceding memo from the man himself as well as the moving accounts of why and how he handpicked each of the members of his “family” underneath their portraits. “This season’s ad campaign represents a series of connected events; a visual narrative. It is a personal diary of people who have and continue to inspire me and open my mind to different ways of seeing and thinking. The spectrum of individuals photographed in our Spring/Summer 2016 ad campaign represent a celebration of my America. In collaboration with photographer David Sims and stylist Katie Grand, the people featured in our campaign personify this collection of fashion through their individuality. Collectively, they embody and celebrate the spirit and beauty of equality,” the designer wrote on his site. Hopefully, with continued pressure from industry outsiders as vocal as Bey and growing awareness throughout the various cogs in the fashion machine, institutionalized inequalities will continue to slowly turn around. *The term model in this case also includes celebrities featured in campaigns. **Models of color were categorized as those who appear to be nonwhite or of mixed backgrounds. 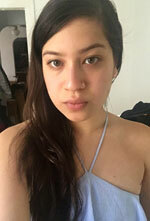 Models included in the Latina category are classified as nonwhite Latinas that do not appear to be strongly Afro-Latin. Models included in the Other category are classified as nonwhite models of mixed or unidentified backgrounds. ***UPDATE May 25, 2016: An earlier version of this article did not take into account the full scope of the Marc Jacobs campaign, which featured a total of 50 women, many of whom are not professional models. This section has been updated to include models not represented in the original report.